Built in 1992 to display large artifacts and be a venue for demonstrations, special events, concerts, dinners and fundraisers. It is dedicated to the founders of the museum, Henry Goertz, Peter Washburn and Ed Mothersole. Many of the larger items were displayed in this building. 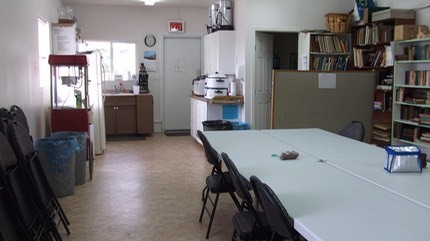 In 2008 two large heated rooms were added, the Resource Room, and what became the Archiving Room. These two rooms are the museum’s first steps at becoming a year round operation. They allow the museum to offer our volunteers and local community organizations a place to meet and work in the winter, as well as a place for staff and volunteers to properly deal with the artifacts being donated. In 2012 the building was converted to mainly a public gathering space with only minimal display area. 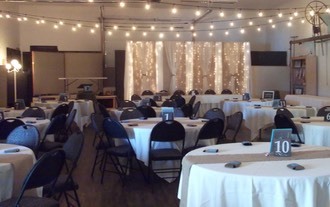 With the number of special events where large seating areas were needed, plus requests for rental space, it was decided that this building was best suited for that use. Early in 2012, a new furnace and updated lighting was installed, and the ceiling painted. 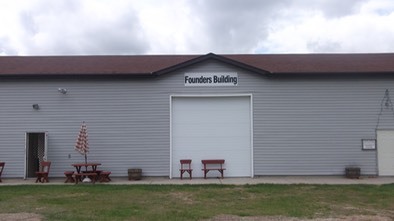 The Resource Room is in the Founders' Building and is available for rent seperately. It can accommodate approximately 30 people.